The Light Stax System Basic set will light up your building creations. 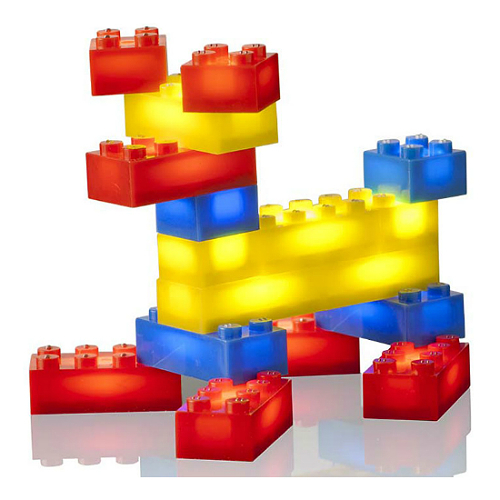 Light Stax bring LED light into the fun of brick building and is compatible with similar sized building blocks. These unique building blocks bring your constructions to life with 3 LED light modes - instant on, flashing or glowing. So, light up your play with the sound activation base. 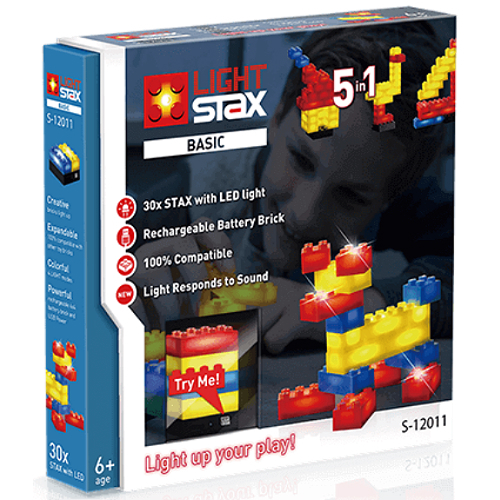 Set includes 30 STAX with LED lights, and rechargeable battery brick. Measures approximately: 8.25 x 8.25 x 1.50 inches..